Drawing can be very frustrating. Very few drawings turn out as good as you hope. I believe with a little encouragement and a few tips I can help point you in the right direction. Sign up below so I can email you a pdf of 10 tips to help you become the artist that you want. The first tip and most important is daily practice. There are so many art classes, books and workshops out there that seem to address everything except the most important thing of all; that is implementing a daily habit of drawing. That is the foundation for The 28 Day Drawing Class. If I could somehow get my students to draw everyday for four weeks, odds would be in their favor that a habit would form. 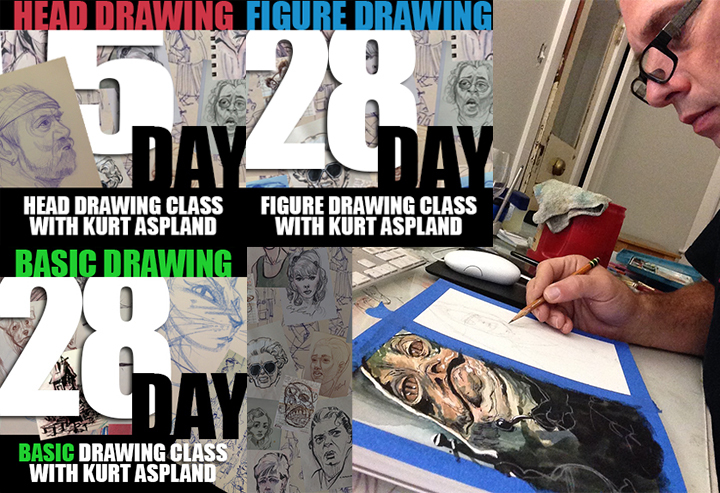 The 28 Day Drawing Classs are structured with that in mind. If you commit at least 15 minutes everyday, you will have put into your sketchbook a wonderful resource guide filled with tips, tricks and techniques for you to reference when needed. Each lesson is set up into three sections. If you choose to complete all three it will take about an hour of your day. Could you imagine how much more confident you would be if you spent an hour each day drawing after four weeks. If you don't have that time then just commit 15 minutes and you will still see improvement. You can sign up for any of these classes by clicking "PRODUCTS" at the top of the page.